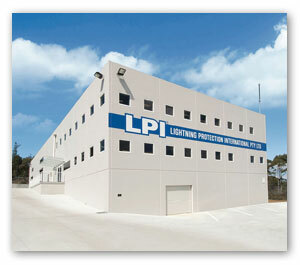 LPI-NZ LTD started operating in 2009 as a distributor for LPI in Australia, and has grown into a multifaceted power quality solutions provider, including employees and contract based consultants, engineers and electricians, that provide a broad range of skills and experience in the electrical industry. With the flexibility, service and vitality that a SMB can provide, LPINZ has won several high profile contracts for supply and is well known throughout local industry for its quick supply, high quality and after sales service. Please refer to project or gallery tab for further details. The company has a range of service and supply options, from audit and supply of goods only, through to turnkey solutions that include regular site visits and consultation to establish what the client needs. In addition to lightning protection, surge protection and earthing, LPINZ complements these abilities with the provision of power quality auditing, logging, analysis and supply of power regulation equipment and filters. With experienced staff from electrical engineering, substation and tunnel earthing, technical and sales background, LPINZ draws on skills from all these areas to provide the best solutions for their customers. LPINZ features an internal company branch focused on providing the best power quality to its clients, and as such is familiar with the benefits that improved power factor can provide, including reduced power bills, reduced load on the distribution network and reduced overall consumption as the reactive power component is minimized. Please refer to Power Factor tab for further details. LPINZ specializes in providing power quality solutions nationwide and to the South-Pacific Region, with a focus on commercial and industrial operations. Working closely with consultants, contractors, building managers and owners, the company has provided power system solutions, including power factor correction, surge and lightning protection to many prominent New Zealand buildings. This has resulted in significant energy savings for many high level electricity consumers throughout New Zealand. As an active and conventional lightning protection provider, LPINZ can design, supply and install lightning protection systems in compliance with international standards or to local AS/NZS 1768 certified systems. This includes the ability to supply coarse, medium and fine surge protection and installation for incoming power, data and communication systems at client sites. Lightning Protection International Australia (LPI®) is a fully Australian-owned manufacturer and supplier of direct-strike lightning, surge and transient equipment protection, earthing products and solutions. LPI serves customers in more than 65 countries across the Middle East, Australia, New Zealand, the Asia -Pacific region, Africa, Central & South America through network of highly trained and dedicated distributors. LPI maintains a third party Quality Management System which fully complies with ISO9001:2000.